The Flash is getting a new villain! 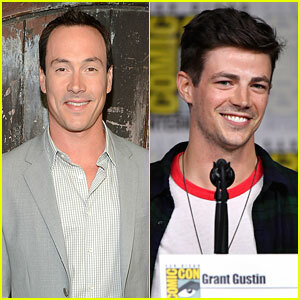 It was just announced that Chris Klein has been cast as Cicada during the show’s panel at 2018 San Diego Comic-Con on Saturday (July 21) in San Diego, Calif. The Flash season five trailer was also released. The show will return Tuesday, October 9th on The CW. Watch below! Pictured inside: The cast of The Flash – Grant Gustin, Candice Patton, Carlos Valdes, Tom Cavanagh, Danielle Panabaker, Hartley Sawyer, Jessica Parker Kennedy, and Danielle Nicolet – on stage during the show’s panel at SDCC. 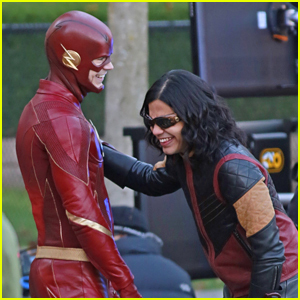 Grant Gustin shares a laugh on set with Carlos Valdes while filming scenes for The Flash on Tuesday (November 7) in Vancouver, Canada. The two actors were spotted suited up with Danielle Panabaker channeling Killer Frost for an upcoming episode. Not much other clues were given, but in the pics, Danielle was laying on the ground at one point. 'The Flash' Will Face Off with 'The Fastest Mind Alive' in Season Four! Grant Gustin makes an appearance at the 2017 Comic-Con to promote to his show The Flash on Saturday (July 22) in San Diego, Calif. 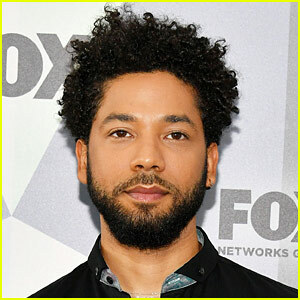 The 27-year-old actor was joined at the event by his co-stars Danielle Panabaker, Candice Patton, Carlos Valdes, Jesse L. Martin, Tom Cavanagh, and Keiynan Lonsdale who dressed up like Where’s Waldo! The cast also stopped by the #IMDboat that day! During their panel discussion, it was revealed that three new characters will be joining season 4 of the show. Season 4 of The Flash will premiere on Tuesday, October 10 on The CW. Grant Gustin is hard at work on the set of The Flash! The 27-year-old actor was spotted getting into character on Monday (February 20) in Vancouver, Canada. Grant was also joined by his co-stars Jessica Camacho, Keiynan Lonsdale and Carlos Valdes as they filmed some action scenes! A few days earlier, Grant‘s other co-star Tom Felton took to his Instagram to share a photo of duo with Jesse L. Martin on set. “Central City’s baddest good guys,” he captioned the pic. Grant Gustin and Jesse L. Martin chest bump on the stage during The Flash panel at 2016 San Diego Comic-Con on Saturday (July 23) in San Diego, Calif. 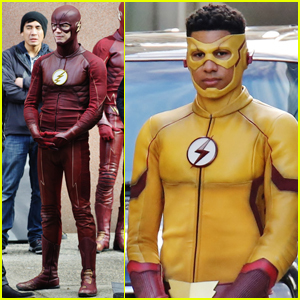 The two actors joined Danielle Panabaker, Keiynan Lonsdale, Tom Cavanagh, , Tom Felton, Candice Patton and Carlos Valdes, as well as executive producers Todd Helbing and Aaron Helbing at the event. Check out the season three trailer below and more pics from the autograph signing! 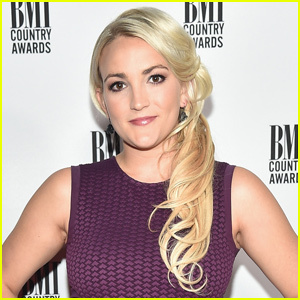 FYI: Danielle is wearing Tadashi Shoji at the EW party.